Today Nvidia has released a new beta video driver version 270.51 after not being very active on the driver updates since the beginning of this year. The new beta version is offering some interesting new features and the traditional performance boost, most significant in the Dragon Age 2 game as well as for users with 3D Vision Surround setups this time. 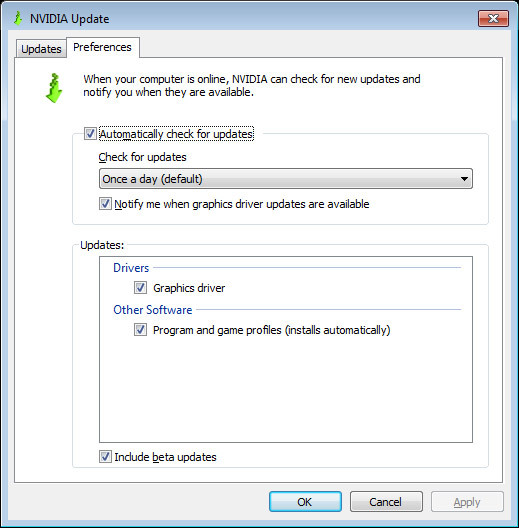 This is the first release from the Release 270 family of drivers and it finally comes with a NVIDIA Update feature that can help you stay up to date with the latest WHQL drivers by notifying you when a new driver is available and directing you to download the driver. With Release 270 drivers, the 3D Vision Controller driver is now included with all GPU driver installations, so you will no longer need to download and install this separately from the video driver. 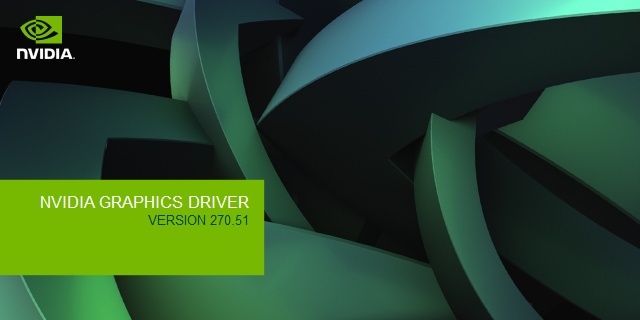 The 270.51 driver package includes version 270.47 3D Vision Controller driver. The 270.51 driver also has new features added to 3D Vision window mode, including the addition of support for HDMI 1.4 3D TVs when using 3DTV Play software, including DirectX 9 games, Google Earth, and 3DVisionLive.com. The 3D Vision window mode now works with Windows Aero enabled and you can turn it on and off from the NVIDIA Control Panel. There are also performance improvements for DirectX 9 applications when using NVIDIA SLI and 3D Vision, as well as improved 3D Crosshair performance in Source Engine games (the driver laser crosshair). The new driver also adds support for new 3D Vision Desktop LCD monitors: Tongfang LM2230W; new 3D Vision projectors: Acer X1261P, Acer X1261-3D, DepthQ HDs3D-1, NEC NP-V300X, Sanyo PDG-DXL2000; and new 3D Vision All In One PCs: Acer Aspire Z5673, Lenovo B520. There is 3D Vision Surround support when using 3D Vision monitors with built-in IR emitters. The new driver comes with new 3D Vision game profiles: Alice Madness Returns, Crysis 2 (including multi-player demo), Dead Space 2, DeathSpank, Dragon Age II, Duke Nukem Forever, Dungeon Defenders, Dungeon Siege III, Fable III, Faxion Online, F.3.A.R., Final Fantasy XIV, Homefront (DirectX 9 and DirectX 10), Lego Universe, Need for Speed World, Portal 2, Richard Burns Rally, Rift, Section 8: Prejudice, Shift 2 Unleashed, Shogun 2: Total War, Star Wars: Clone Wars Adventures, Test Drive Unlimited 2, The Sims Medieval as well as updated profiles for MX vs. ATV Reflex and Monster Hunter Frontier Benchmark.